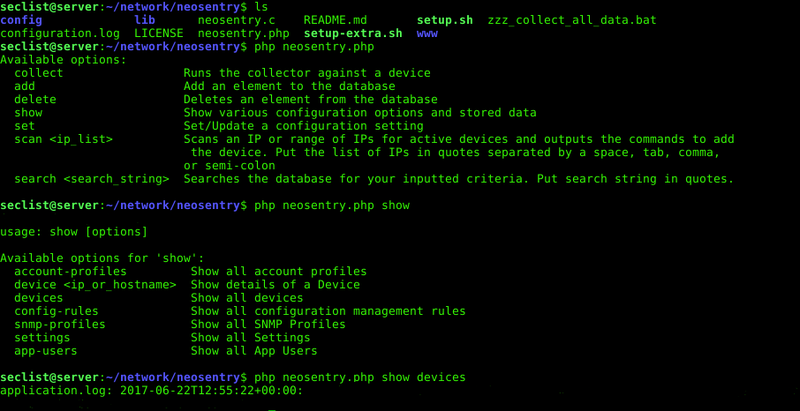 Browse: Home / NeoSentry is an open-source linux based for network monitoring solution, built with security in mind. 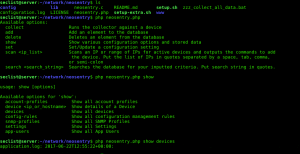 NeoSentry NMS is an open-source, linux based, network monitoring solution, built with security in mind. Real-time monitoring for all types of deviceng for all types of devices via Ping, SNMP, SSH, and vulnerability scanning. Works via Ping, SNMP, SSH, and vulnerability scanning. Works out of the box with minimal initial configuration needed but also allows for advanced customization.Works via Ping, SNMP, SSH, and vulnerability scanning. Works out of the box with minimal initial configuration needed but also allows for advanced customization. Tracking, reporting, and alerting for service availability, network changes, and for any other data element collected. Custom responsive, mobile friendly, and intuitive front-end design. Front end for local tacacs+, and local DNS if you decide to set this up. It's recommended to have PHP7.1 which performs far better than PHP5, but is also a little tricky to setup. 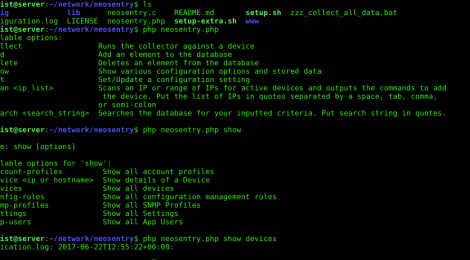 git clone https://github.com/dje144/neosentry.git /usr/share/neosentry ./_setup.sh supports Debian, CentOS, and RedHat based linux distros. ← lambhack – A very vulnerable serverless application in AWS Lambda.